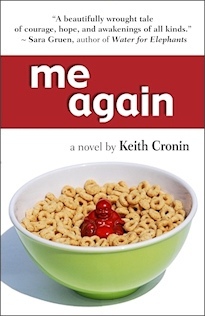 Blurb is a Verb: Author Keith Cronin on Hearing: "You Should Do a Book Trailer"
Author Keith Cronin on Hearing: "You Should Do a Book Trailer"
I love this post from Keith, because it demonstrates both the variety of pressures new authors face, but also the harnessing of some very personal strengths found underneath his own roof. Making a book trailer is not for everyone, but here's how one author turned his publicity effort into a creative work of love. And then saw results. "You should do a book trailer." Great, now authors are supposed to be movie directors, too? Wonderful. We'll just add that to our constantly growing to-do list, along with blogging, Facebooking, tweeting, chirping, and various other animal noises. Oh, and we'll do this even though there still isn't quantifiable data proving that all this stuff actually helps sell books. 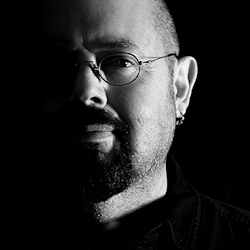 Still, I'd been planning to take a shot at creating a homegrown book trailer. After all, my life partner Luna Jade is a multimedia artist with solid video editing chops, so at least I could probably get this done on the cheap. And I like to think I'm a pretty creative guy, with a good eye. How hard could making a two-minute video be? When I tried to storyboard it, I kept hitting a brick wall. Everything I came up with made my book seem like either a medical thriller or some movie-of-the-week tearjerker. This is not surprising, since my book is about two young stroke victims, and is set mostly in a hospital. But my book is actually pretty funny. So how do I capture that aspect, while showing images of hospital corridors and physical therapy sessions? Finally I gave up, consoling myself that nobody had proven that book trailers actually work. This time it was Luna talking to me, while we were eating dinner. I explained that I had tried, but kept getting nowhere. And that given the number of truly awful book trailers out there (which could be the topic of a whole 'nother article), I didn't want to put out something I wasn't genuinely excited about. "What if I wrote a song for it?" she asked. Now, this was interesting. Among her many talents, Luna is a professional singer/songwriter, and has a pretty sweet home recording studio. And she had read and loved my book, so she "got" what the book was about. Who better to capture my story? As I began to mull this over, she started ad-libbing some lyric ideas, and immediately captured one of the metaphors I'd used in the book. I loved the initial couplet she had just reeled off, which ultimately became the first two lines of the finished song. Sitting at the table we started brainstorming about the mood and lyrical content of the song, and agreed that it might be cool to try to find a climactic place in the song to include the phrase "me again" (the title of my book), as long as it didn't seem forced or corny. Inspired, she wrote the words and melody in a single day, and I have to say, the song sounded great. And her inspiration was contagious: suddenly I had a rush of ideas for how the video could flow. I had storyboarded some corporate training videos, so I had some experience in combining images and timed narration. And during my abortive earlier attempts at brainstorming the trailer, I had at least isolated the three things I wanted the video to accomplish: I wanted to show that my book was funny, that it was emotional, and that there was a sense of hope to the story. This last part was important to me, because I was finding that when I described my novel to people, they'd often say, "Wow, that sounds depressing." While there are some powerfully sad moments in the book, there is also a steadfast humor and underlying optimism. But in early drafts of my storyboards, between all the medical imagery and ominous phrases describing the problems my characters faced, I could see how the book seemed like a downer. Having identified those goals, it was time to figure out how to achieve them. To capture the humor, I decided to start the video with the opening passage of the book, which has a nice punch line to it. The emotional part was easier to capture: we simply began listing the problems the characters faced, while the slow, plaintive beginning of Luna's song played underneath the onscreen captions. Finally, the third part: showing some hope. If you study many movie trailers, you'll notice that they often show another dimension of the story by abruptly changing the mood of the music. So that's what we did: I specifically asked Luna to try to develop a song with a slow opening, that would suddenly transition into something more upbeat. I gotta say, she knocked it out of the park. You can see and hear the final result below. Yeah, but will it sell books? It changed some bloggers' minds. Several literary bloggers have publicly commented that while they usually feel "meh" about trailers, this one actually made them want to read the book. It got at least one member of my publishing house's sales force fired up about the book. She wrote to me after seeing the trailer, raving about it and promising to read the book right away, which was quite a compliment given the size of the catalog she represents. A sales rep who has actually read the book she's pitching is a powerful ally indeed. It secured me at least one review. I started including a link to the trailer in my pitch letters to the big review sites, and one reviewer wrote back right away, saying, "The book trailer definitely has me interested, and I'd like to read this for review." Score! Based on that, the trailer has already provided ample return on my investment. True, we did put a lot of time into it, but the only real cost was for the two pieces of stock video footage used in the first half of the video. And hey, even if it never sells a single book, I still ended up with a theme song for my novel, which is pretty darn cool. But at a personal level, this was also an extremely rewarding experience. After Luna's initial offer to write a song, the two of us fell into a collaborative back-and-forth that was thrilling to experience. Luna and I are each other's biggest supporters, and we've made music together before. But we had never before collaborated in this way, and together we really did achieve something that felt greater than the sum of its parts. It was a real lesson in how inspiration can snowball when you put two minds (and hearts) together. You should do a book trailer. Your trailer is 100 percent a winner. Loved it. Congrats to you and Luna. Love the trailer. Well done, Keith. It definitely made me curious about the book. off to check it out on Amazon right now. Well, heck. That made me want to read the book. Nicely done! I wonder how many authors have story boarding experience AND a spouse who is a songwriter though... On the other hand, most of us could line up the expertise if we want to. And this makes me want to. Great post and even better book trailer. The song is lovely, and it's clear you two are a great team. Much good luck on the launch, Keith! Congratulations -- recently faced the same pressure for my debut novel LIE!! Your results are terrific! That's the first book trailer I actually liked (and stayed through to the end). Well done. Thanks for sharing. Thanks for your comments - I'm glad you enjoyed this post! I'm really starting to believe in the power of these things, particularly for the kind of story that's hard to sum up in a single sentence or "elevator pitch." Great post! I've been debating whether to do a book trailer myself. You've given me some great advice--I hope mine turns out as beautifully as yours! Nice. I think you illustrate the importance of professional input. Among other things! This is a great post. I love hearing the process of the decision and the pressure. Thanks for sharing, Keith. Really great job of talking us through the creation of the book trailer and then of course i watch the book trailer and it is GREAT! Together you have created something outstanding! I had no idea who Keith Cronin is, just clicked on your link, hoping to learn something about book trailers. And so I did, you sly devil; now I want to read your novel right away! What I love about the trailer is its restraint, crystallizing the theme of the book while tugging lightly at our emotions. I know I'll need a box of hankies nearby when I get down to reading it, but I expect them to be happy tears by the end. Good luck! Damn! That's beautiful. Good job! I think if I had that talent for making book trailers then I'd definitely do it. I guess I'm just scared that I'll spend a lot of time coming up with something that in the end will only be okay. Damn! That was beautiful! Very nicely done. I think I'd definitely make a book trailer if I knew I could do something of that quality. Right now, I'm just worried that I'd be spending a long time (that I could have been spending on other marketing or writing) making something that in the end will only be okay. You know?